When you are looking for an industrial filtration supplier or just a specific supplier for your needs, contact the source. NAPA Industrial Filters manufactures and distributes a full range of industrial filtration products, making it the single source for all your industrial filtration needs. Our manufacturing and design expertise provides you access to field-tested products and services designed to address your standard or custom filtration needs. NAPA Industrial Filters offers you one of the largest industrial hydraulic cross references available, with over 45,000 crosses covering over 300 brands. With our entire focus on industrial filtration, we assure you that we will provide you with accurate, up-to-date, information regarding industrial filtration products and services. 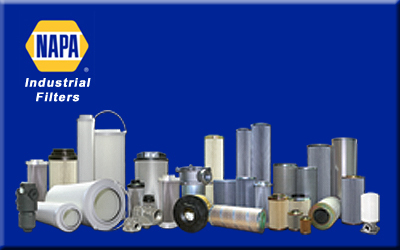 NAPA Industrial Filters will provide you with the right answers to your unique requirements. We know our experienced team will save you time, money and aggravation.